The summer is here, the kids are out of school, and they are getting bored. 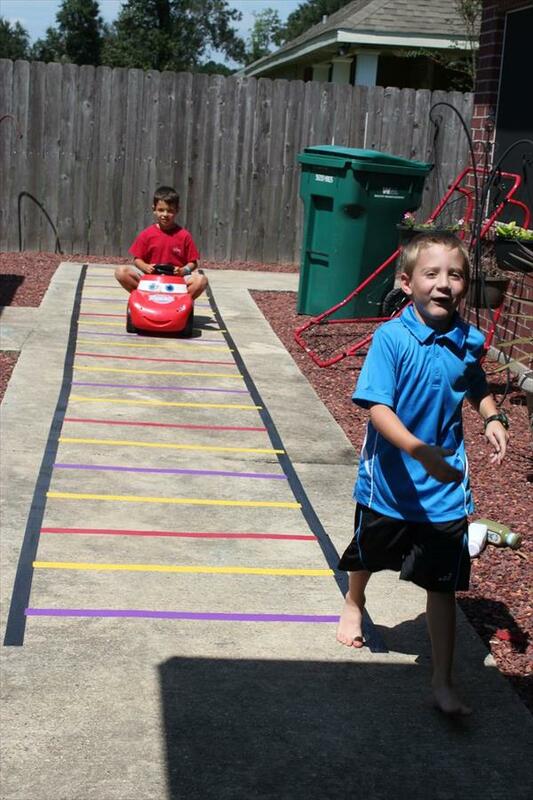 Pick up your duct tape for kids craft with duct tape, and roll out some train tracks on the pavement of the concrete in the yard. Get them some cars and watch them go! These are good for the school ground also.